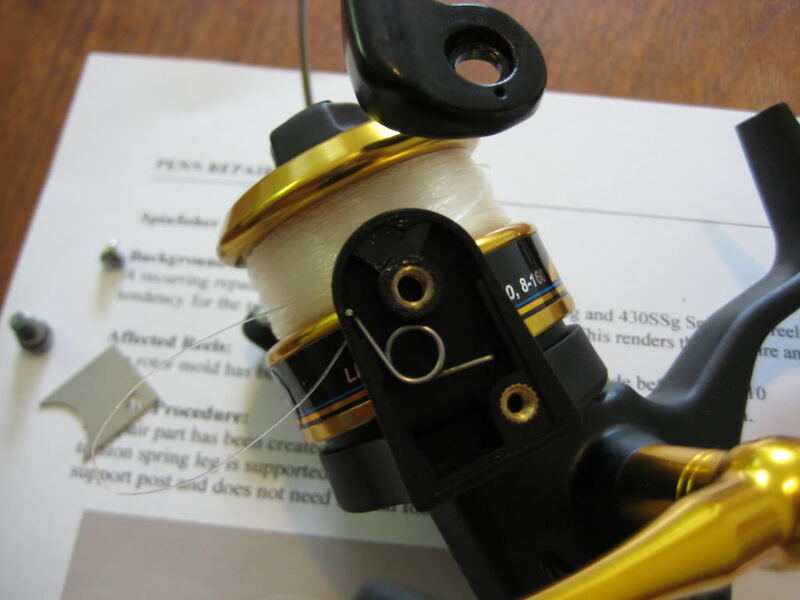 A recurring repair issue with the bail spring of the 420SSg and 430SSg Spinfisher reels has been the tendency for the torsion spring to fall out of the bail cam. 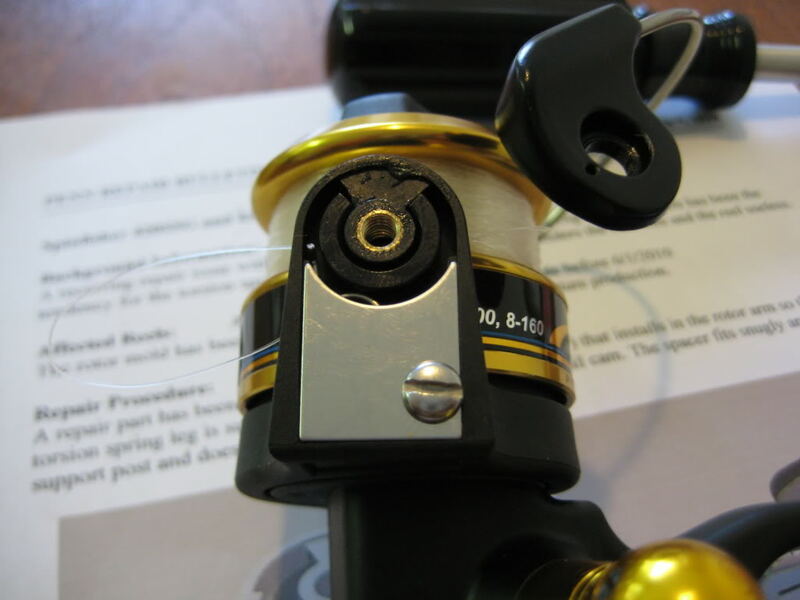 This renders the bail wire and the reel useless. The rotor mold has been modified to prevent this issue on all future production. 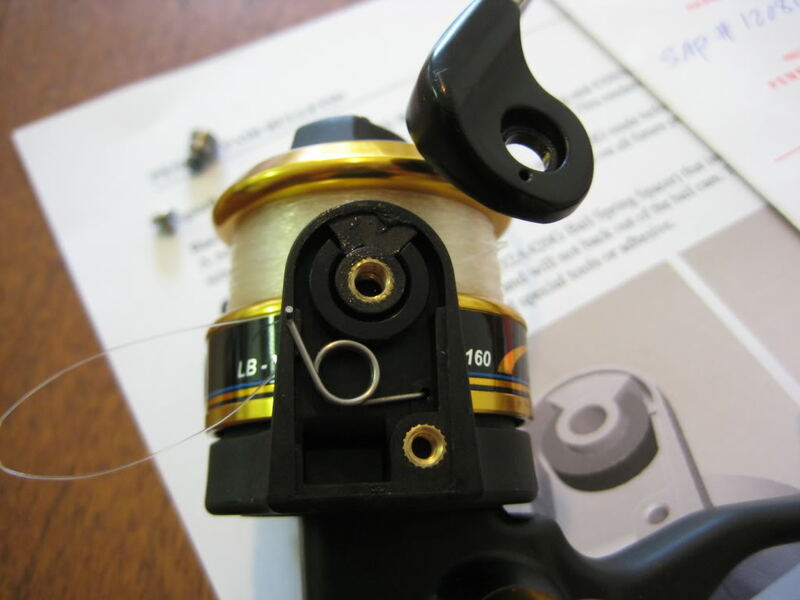 A repair part has been created (032A420G Bail Spring Spacer) that installs in the rotor arm so that the torsion spring leg is supported and will not back out of the bail cam. The spacer fits snugly around the support post and does not need special tools or adhesive. 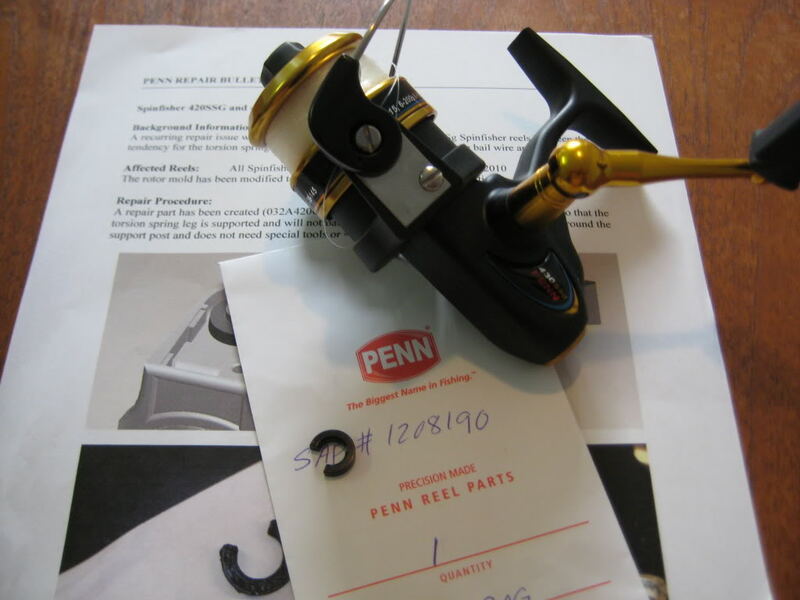 **Although, you can email Penn and they will send you the spacer for free which I did. And it only took as long as over the weekend to come in the mail. 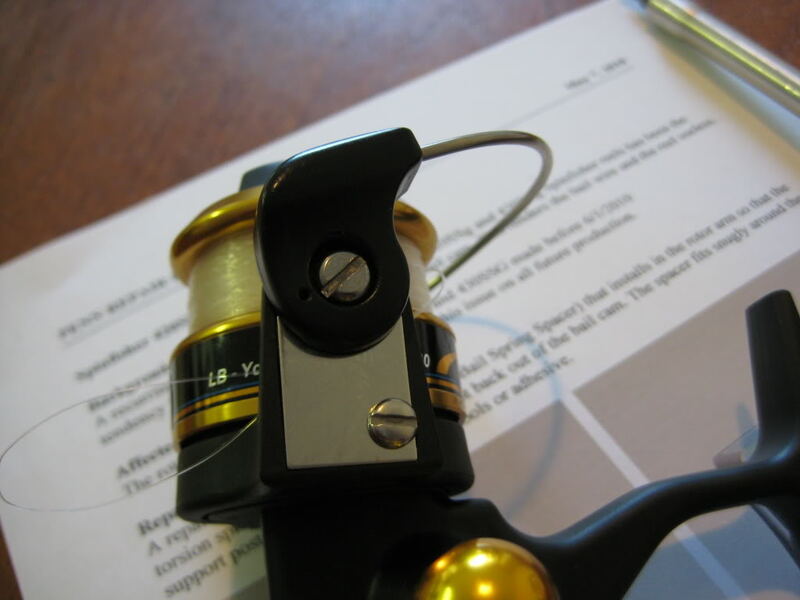 The repair bulletin is it's own repair instructions but I just installed the spacer today and took pics for you, the fishing community that owns this specific reel. Enjoy! 1. Remove Bail and Cover screws. 2. Install (push/snap in) new spacer around bail cam. 3. Install cover plate first. 4. Then install the Bail arm, making sure that the spring sets into it's guide hole on the bail arm.